The Countess of Wessex presents The Firmin Sword of Peace to the 5 Armoured Medical Regiment. 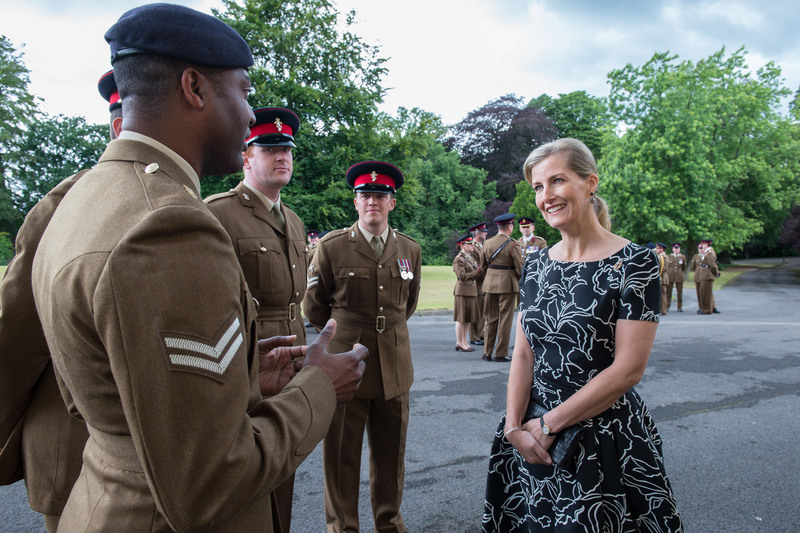 The Countess of Wessex visited Royal Military Academy Sandhurst to present The Firmin Sword of Peace to the 5 Armoured Medical Regiment. The Countess is Colonel-in-Chief of the Queen Alexandra's Royal Army Nursing Corps, many of whom serve within the Medical Regiment. The Firmin Sword of Peace is an award given to units of the British Armed Forces for activities above and beyond their normal role that improve relations with the community, either within the United Kingdom, or overseas. 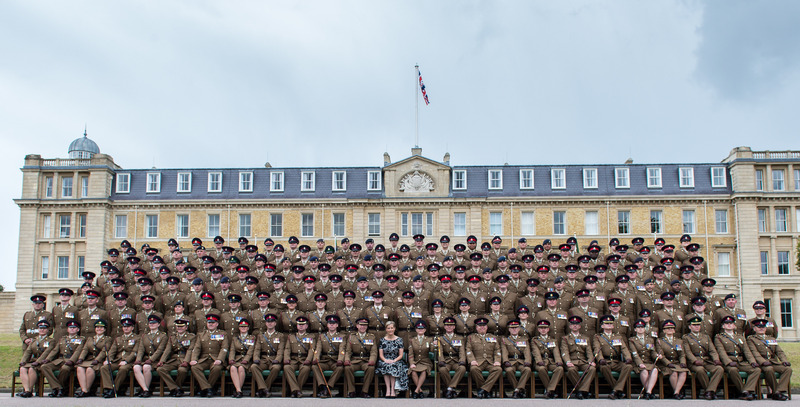 The Regiment was awarded The Firmin Sword of Peace for their contribution to humanitarian activities overseas during the Ebola outbreak and on Exercise Askari Storm in Kenya in 2014. The Regiment's activities were central to the mass mobilisation of healthcare workers to Sierra Leone, helping the Government to tackle the Ebola outbreak. Named Operation GRITROCK, more than 50 members of the regiment were deployed to Sierra Leone. Freetown's football stadium was transformed into a training academy on how to combat Ebola, from where the servicemen and women trained over 4,000 medical personnel. In Kenya the Regiment assisted with the delivery of primary health care to over 3,000 local civilians many of which had limited access to routine health care and came seeking help. The Countess presented the Firmin Sword of Peace to Lance Corporal Danielle Pattinson from the Royal Army Medical Corps (RAMC), Combat Medical technician, 35 Squadron 5 Armoured Regiment. HRH then met members of the Regiment who were deployed in both Sierra Leone and Kenya.